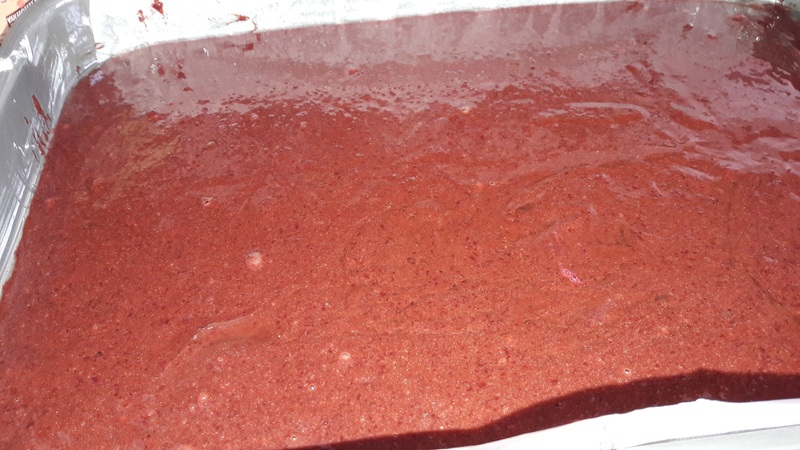 I had a request from the 93 year old mother of one of my friends to make her a cake that included beetroot in the ingredients – maybe a red velvet cake. Now I had never seen one of these cakes and certainly never made one and I did have doubts about it. I did some research and found lots of recipes for red velvet cakes but nearly all of them used just red food colouring. I then found a recipe for a cake using beetroot and tested it out and surprisingly it came out very, very well. The recipe uses sunflower oil and is an easy to make batter cake. This is not a traditional Polish recipe at all but it does contain a favourite Polish vegetable – namely – beetroot. Grease and line a 21 x 31 cm baking tin. Drain the beetroots from the water and place in a sieve for a while to ensure they are dry – you can dry them with some kitchen roll as well. 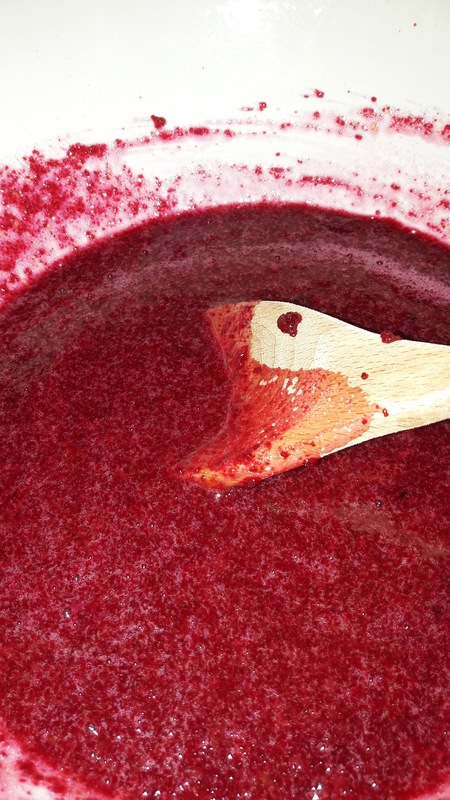 In a large bowl combine the puréed beetroots, eggs, vanilla essence, oil and sugar. 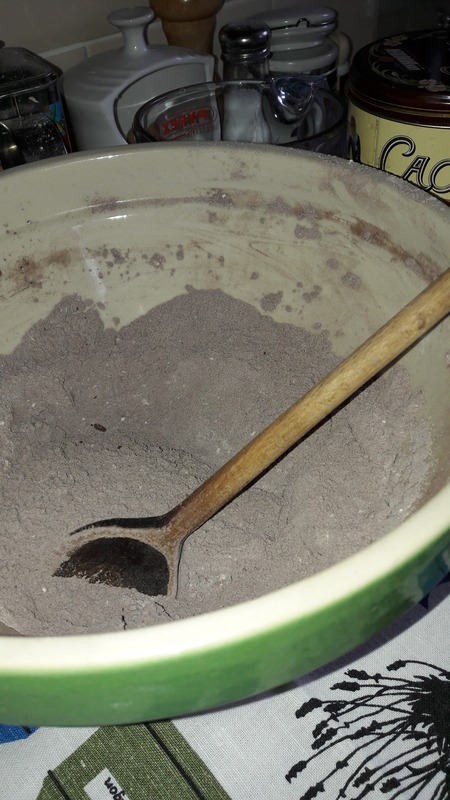 In a separate bowl mix together the flour, bicarbonate of soda, salt and cocoa. Add the dry ingredients to the other bowl and beat well together. Pour the batter mixture into the prepared tin. Test if done with a cake tester or wooden skewer. 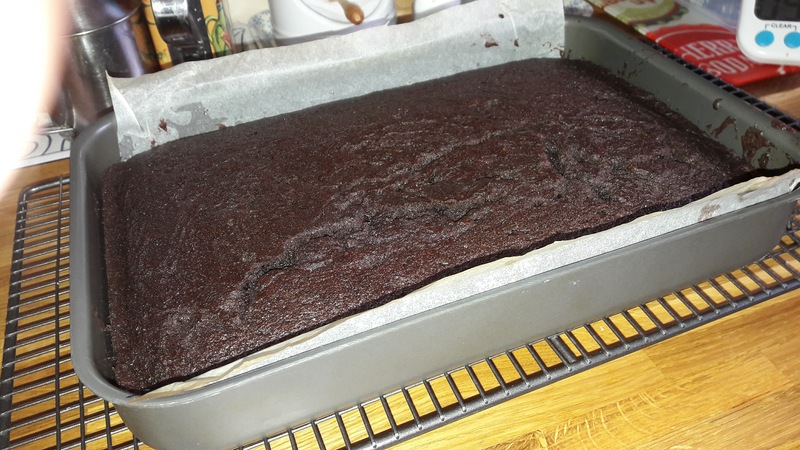 The cake is delicious and moist – it has a slightly red tinge to the very dark nearly black colour. Here I have just served it plain. Served on Royal Doulton, Counterpoint, 1973 – 1987. You can dust the top with icing sugar if desired. The cake is delicious on its own but many versions have a topping of some description. I made one using butter, cream cheese ( or yoghurt cheese), icing sugar and lemon. The butter needs to be at room temperature. Cream the butter, lemon rind, lemon juice and the cream cheese and 2 tablespoons of the icing sugar until the mixture is smooth and well combined. Slowly add the icing sugar and mix well in until it is smooth and firm enough to use as a topping. You can make the topping ahead of time and keep it in a container in the fridge – topping the cake later when needed. Take care not to get too many brown cake crumbs in the icing when spreading it on the cake. with Portmeirion, Crazy Daisy, pastry forks. The cake was voted delicious! This cake is truly amazing! !